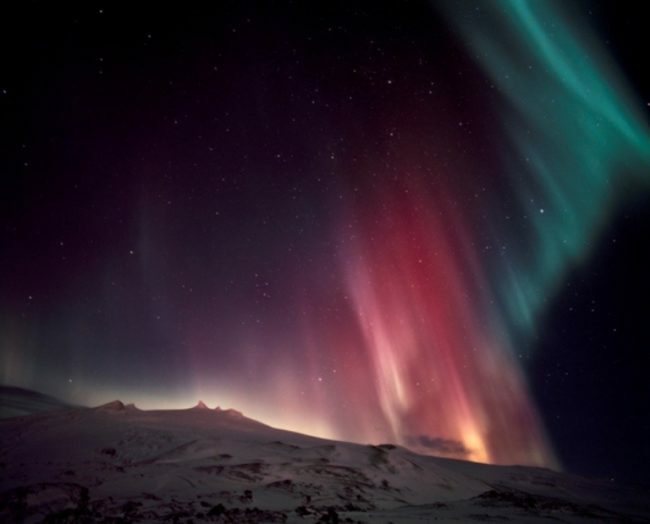 Hidden Powers and Northern Lights Hunt – Winter – The Great Canadian Travel Co.
Icebergs, hot springs and volcanoes dominate this beautiful, yet rugged landscape. On this guided coach tour, experience the hidden powers of the island, including stunning rural locations. Supplement for two course dinners in the countryside US$48 per person. Included in the supplement are 3 desserts. However, on some departures the supplement will include 2 desserts and a dinner buffet. Must be booked in advance, not available locally. Prices are shown in US$ per person based on two people sharing a twin room and one person in a single room. Triple rooms are not available on this tour. Prices are set in US$ and CA$ prices are not available for this program. Arrive Iceland at Keflavik airport and transfer downtown (extra charge for transfer by bus or private vehicle, please ask for a price quote) for your overnight stay in Reykjavik. Guaranteed early check-in is not included in the tour price. Most hotels begin check-in around 2:00pm. You can leave your luggage in storage at the hotel and go out for a walk and lunch until your room is ready. Should you wish to guarantee early check in we can add on a night’s stay to your program, allowing you immediate use of your room on arrival. This escorted tour will give you many exciting experiences including views of the notorious Eyjafjallajokull volcano and the breath taking glacial lagoon at Jökulsárlón. With several nights spent in stunning rural locations, you’ll be perfectly situated to hunt the magical Northern lights. 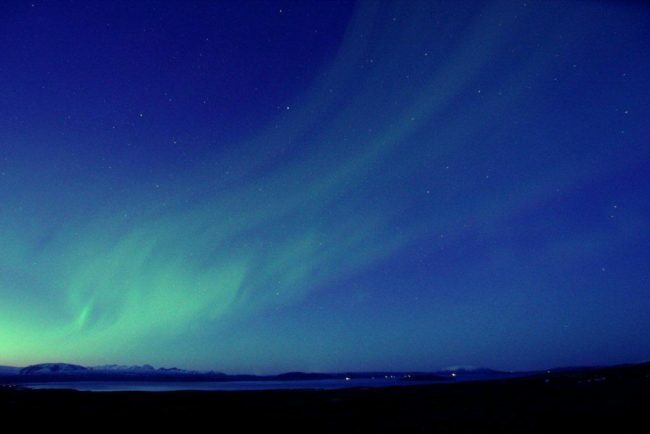 Start the day by visiting the recently opened and fascinating Northern Lights Centre in Reykjavik for an exciting and informative presentation on the Northern Lights. Onwards to Thingvellir National Park (UNESCO World Heritage site) where the world’s oldest parliament met for centuries on the shores of Iceland’s largest lake. Drive to Laugarvatn Fontana where your group experiences a geothermal bakery first-hand and digs up bread that has been cooked underground. Sample the delicious bread, served hot from the ground and slathered with fresh Icelandic butter. 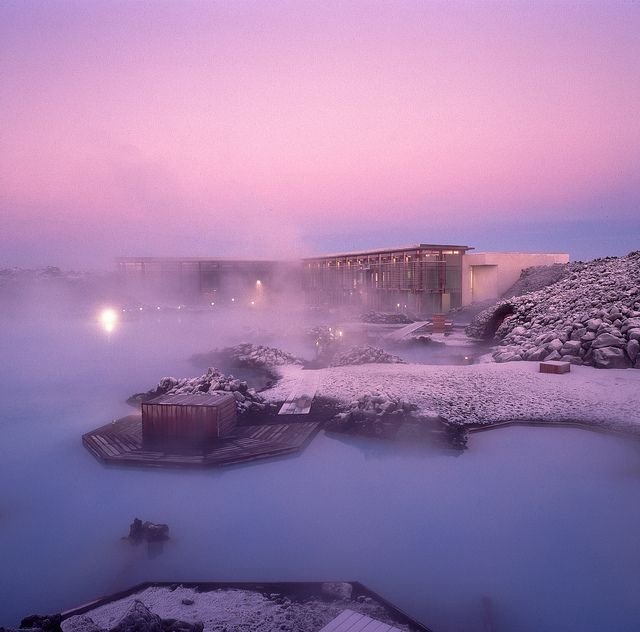 Continue through farmland areas to the geothermal fields of Geysir with bubbling mud pools and the high-spouting Strokkur hot spring.Visit the dramatic two-tiered Gullfoss waterfall, a spectacular sight in winter when frozen midcascade. Stop at Skalholt, Iceland’s capital during the Middle-Ages and now a culture centre with a beautiful church. Overnight stay and Northern light hunt in south coast area. 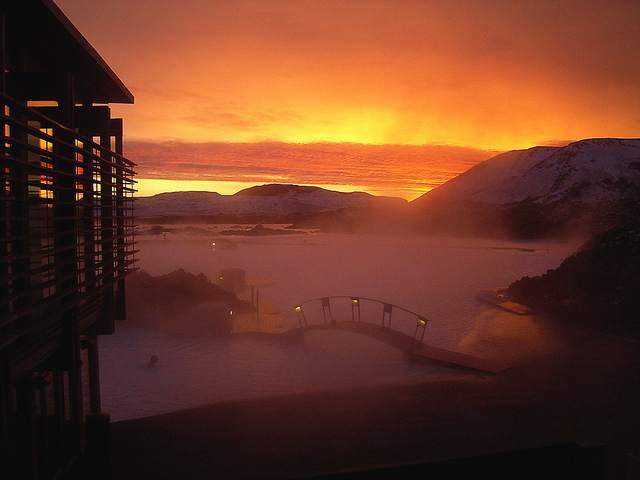 Drive along the south shore, an area of Iceland that is quite beautiful to view in the winter. This is one of the main farm regions of the country, and the road will pass by typical Icelandic farms, often with Icelandic horses in the fields. This part of Iceland is home to the new Lava Centre, an interactive, high-tech educational exhibition depicting volcanic activity, earthquakes and the creation of Iceland over millions of years. Stop at the spectacular waterfalls Seljalandsfoss and Skogafoss. Head onwards, passing by Myrdalsjokull Glacier, to visit Reynisfjara beach. Take a walk on the black sands, admiring the extraordinary rock formations and thundering waves of the Atlantic Ocean. Overnight stay and Northern light hunt in Kirkjubaejarklaustur area. Today enter the area of Vatnajokull National Park, named after Europe‘slargest glacier. This national park is also the largest one in Europe. The park‘s Skaftafell region is a site of outstanding natural beauty, dominated by Vatnajokull glacier. View Svinafellsjökull, one of the most beautiful of the glacial outlets emerging from Vatnajökull. Continue to Jokulsarlon Glacial Lagoon where you can enjoy a breathtaking sight of icebergs floating in the fantastic 180m (591 ft) deep glacial lagoon. Return to the hotel for dinner and overnight. a wide choice of options offered in the city. After breakfast, check-out of your hotel and shuttle back to the airport (extra cost) to catch your flight home. This day by day itinerary is subject to change by the tour operator without advance notice. 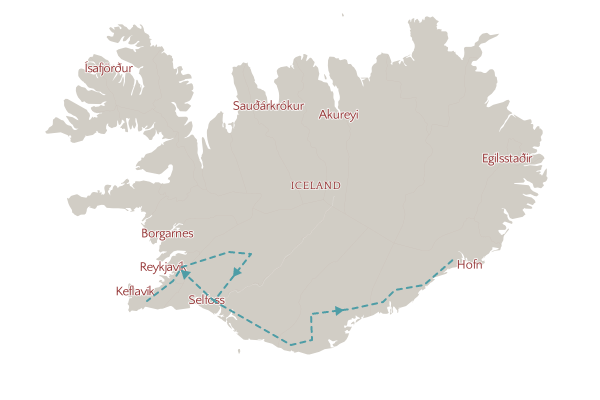 The tour operator’s itinerary takes precedence over this outline.